If you’re looking to boost your rental home value and income, it’s important to update the rooms and features that are most used. The upgrades don’t have to cost an arm and a leg in order to give an updated feel that will help command more rent.Choose well – the payoffs are worth the effort. Kitchen Upgrades – For most of us, the kitchen isn’t only for cooking and eating. It’s also the study hall, the other home office, and where everyone gathers. It’s no wonder the kitchen is one of the most important rooms in the house. To entice potential tenants and raise the value of the property, start here when allocating update dollars. Flooring – Most people choose to either tile or lay hardwood, but you can also find high quality, very durable laminate flooring options that no one would guess aren’t the real thing. Appliances – Not only do they take a lot of wear and tear, they also add to the overall style of the kitchen. 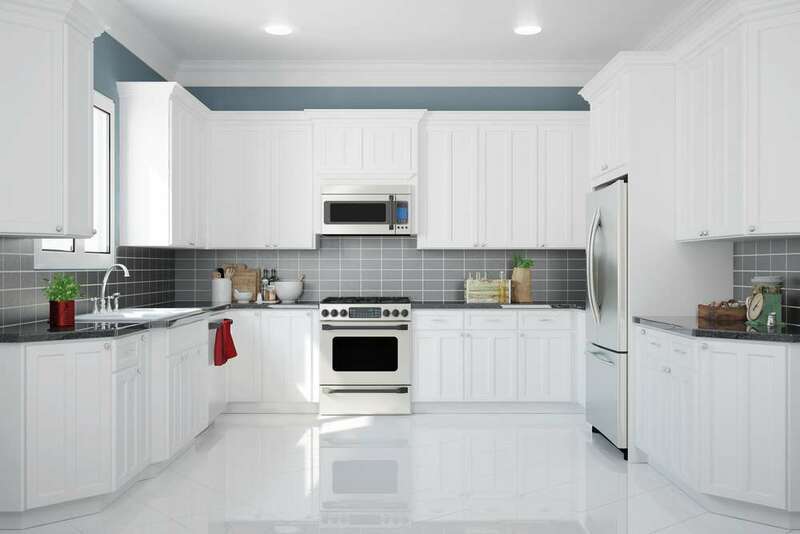 While stainless steel is now pretty much the norm and expectation, glossy white — yes, that’s right, white — is beginning to rival stainless steel as a trendy finish of choice. Counter tops and cabinets – Updated cabinets and counters are two key ingredients for a premium-rent worthy home. If you can’t afford to replace both, opt to replace the counter and either re-face (with new doors and paint) or at minimum repaint the current cabinets. Beautiful countertops are the jewel of any kitchen. They set the tone for the style by elegantly blending in, or providing a pop of unexpected color (the same holds true for cabinets). Granite used to be the material of choice, and like stainless steel, it’s almost a minimum expectation. However, there are other beautiful and durable choices for countertops, including recycled glass and engineered quartz. We recommend factoring both price and durability into your choice of countertop material — you don’t want to break the bank with a high-end choice, yet it does need to be tough. Bathroom Updates – Fresh paint in a trendy tone can work wonders. It refreshes both the style and the clean, fresh feeling of the bathroom. Upgrading the vanity is always a win. If the master bathroom doesn’t have two sinks and you can afford the upgrade, opt for a dual sink vanity. As with the kitchen, choose a stylish counter top. For smaller bathrooms you can often find relatively inexpensive free standing bathroom vanities complete with sink and fixtures. Another worthwhile update investment is a newly tiled tub and/or shower. There are so many beautiful tile options, it’s hard to choose just one. Remember though, stay away from tile layout and accent tile that could feel too busy, and keep it neutral and light. 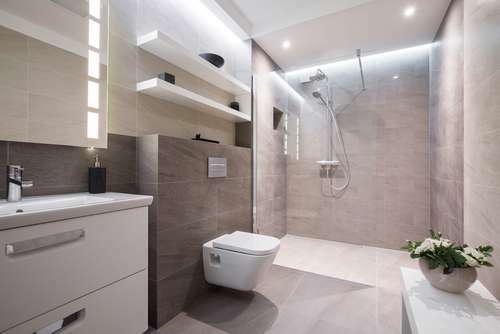 If you have enough money in the budget, consider renovating the shower to be open and spacious with walk-in entry. 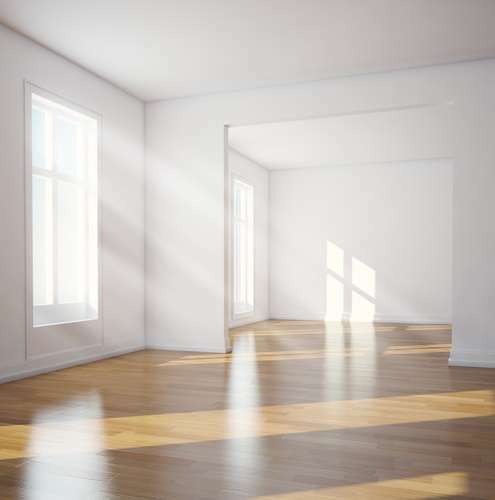 Flooring & Lighting – Nothing turns off a prospective tenant more than banged-up floors, stained carpet and outdated and/or poor lighting. Some damaged or worn hardwood flooring can simply be buffed to restore the look, other floors can be refinished for less than replacement. It pays to research the alternatives to see what makes most budget and style sense. If carpet has been cleaned one too many times and looks old, replace it with a new style and neutral color (don’t go too light or you and your tenants will have a hard time keeping it clean), or consider another flooring material. There’s lighting, and then there’s letting the natural light in…which translates to making windows attractive with decent window coverings. Swapping out light fixtures is one of the easiest and least expensive ways to update a room or entryway. With the variety of types, styles and places you can buy them, it’s easy to find what suits your style and budget needs. Window coverings can really make a difference in the overall perception of a room and home. If some or all of the window coverings in your property are outdated, dingy or worn, it’s time to replace them. The first goal is to provide privacy when desired, but otherwise to take advantage of natural light and any outdoor scenery. Whatever type of covering is chosen — shades, blinds, curtains, or plantation shutters — it is better that they blend into the room, not stand out. One overall guideline to keep in mind: Visual or perceived space is just as important as, if not more than, actual square footage. Keep lines and patterns clean, spaces uncluttered, and colors light and neutral. The key is to make each room feel bigger. Smart choices when it comes to style and materials allow you to not only increase the value of the your home but also attract more tenants. Both of those outcomes mean you’ll be able to charge a higher monthly rent, and be more choosy about who you lease your property to. It’s a win, win when it comes to helping strengthen your financial future!